Beth already spilt the beans as they say. But, today was another exciting day on the farm with many lessons in the ups and downs of life. It started off very “low” in the early hours of the morning. You know those early hours, the ones before most computer geeks go to bed. Yep, it was in those early hours that I found myself wondering around the carnage of dead chicken bodies and a feather covered field. With a chill in my bones and frost on my breath, I was hunting or uhm…searching – no I think hunting is the correct word here, for Dixie, the dog we now know has an insatiable appetite for chicken. I had caught her with “a” chicken a few moments earlier, and scolded her from the front porch while I was in my sock feet. 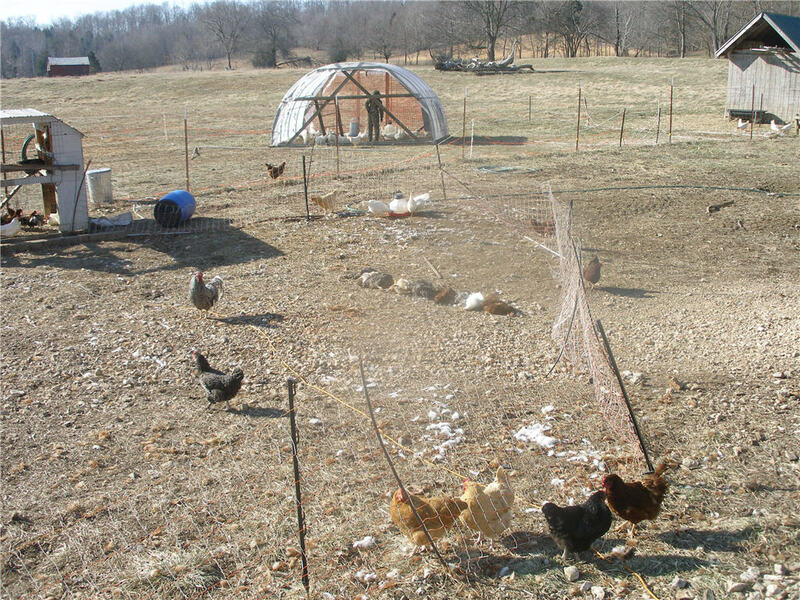 She immediately let the chicken go, tuck her tail, hung her head down low to the ground and headed for the back barn where she normally resides. I slipped my boots and coat on to quickly run out and tie her up. She was no where to be found and I soon found out why. To toll the next morning as the boys surveyed the damages and learned yet another real life experience thanks to the farm, was eleven birds dead and a few suspected missing with big unexplained piles of feathers at a couple locations. But the day progressed from there and as the farm hands assessed the damage they noticed the brown ewe, Georgia, had not come down with the rest of the small flock. They found her with her new 10 pound baby lamb, complete with umbilical cord. She was nursing and happy and she was a baby ewe! This makes our ram, Winchester, two for two as far as gender determination goes. He also apparently produces large babies. 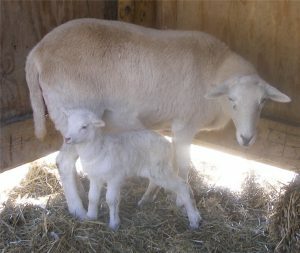 We transported momma and baby down to the lambing pen where we could ensure they were OK. The whole family enjoyed them throughout the day as we fed and generally pampered both of them. We are now waiting for the white ewe, Louisiana, to have hers. The boys have gone out as I write this for the pre-bedtime check on her. There were other exciting adventures that filled the rest of the day. Such as discovering what happened to the two missing kitties and at the same time what caused the strange odor coming from the air conditioning vents in the floor. 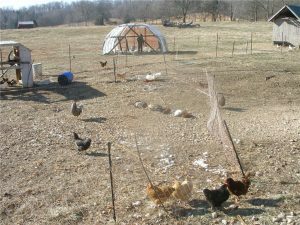 There was also recapturing all the chickens at roosting time and getting an official head count. There are now 22 brown egg layers and around 68 White Leghorns. I’m awaiting the final eggs count for the day, but it looks like we are still on an up trend even with the dramatic fowl and mammal conflict during the night. Finally, there was the much anticipated and awaited “dispatching” of the possum the boys trapped. All in all, it was just another day on the farm. What a blessed life God allows us to live! ← We have a healthy baby lamb!